The winners of this years Hotel and Property Awards will be announced in Italy in just a few weeks time. This year, Design Intervention has been shortlisted in 2 categories and to say that I am in a state of eager anticipation would be the understatement of the year. I can’t seem to divert my mind away from what it would be like to actually win. So I thought I would channel this obsessive thinking productively into this blog entry and suss out our competition. 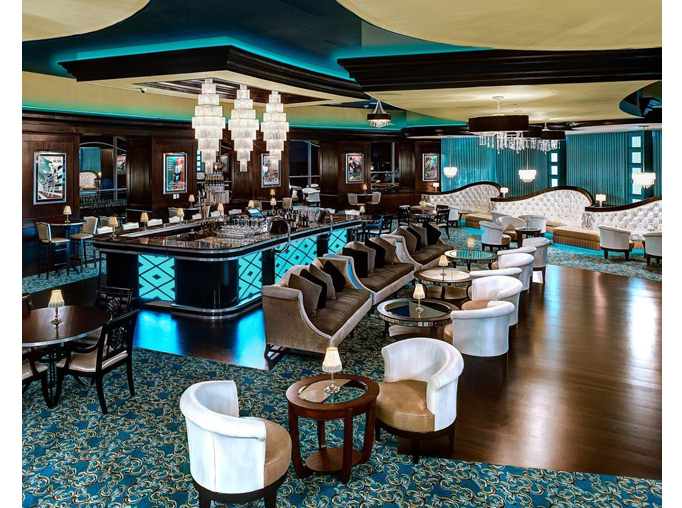 There are just 6 nominees for the winner of the Global Award for Best Bar/ Lounge/ Club. These projects come from all over the globe. And surely, it’s a testament to just how cool Singapore has become that two of the nominees are Singapore projects! What makes it even more amazing that we made it on this list, this is actually our first foray into Bar/Club design. But it certainly won’t be our last. Bar/Club design, I have realized, is an exercise into fantasy. It allows us to push limits and explore design ideas that stimulate, startle and intrigue. Of course, my first love is residential design. To be able to create someone’s personal retreat is an honour that can rarely be beaten. But Night Club Design, like Pop Art is fun and frivolous and allows us to try ideas that would never be suitable in a home. Tongue-in-cheek styling seemed the perfect choice for a Lounge Bar that feels luxurious but not at all serious or stuffy. See how wonderful it looks across the ceiling above the Bar. But my favourite element of the design is the bespoke pendant lights we made out of cast resin shark’s jaws. We placed one above each of the banquette seating areas to add a touch of the unexpected in a glamorous space. BUT how does our entry stack up against the competition? Can we really come back with a win for the Best Club Design in the World for 2015? Well, looking at the other entries, I must admit that I am not confident at all. Some of these projects are pretty awesome and for ours to be selected alongside them is an honour in itself. 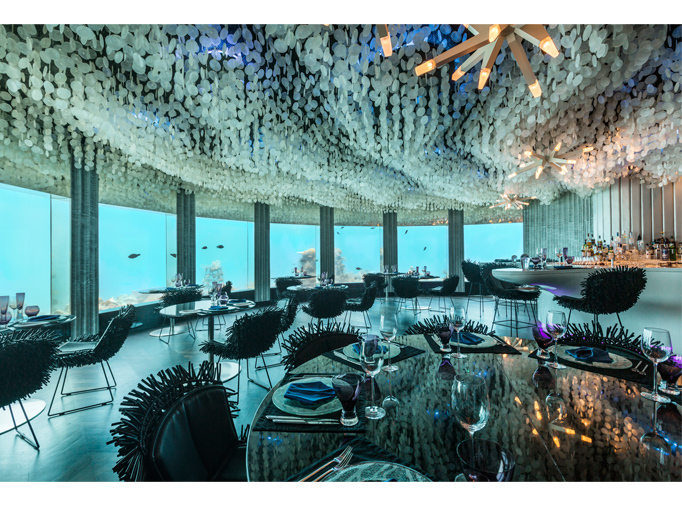 One of the most impressive is Subsix, an underwater Bar in the Maldives. Check out that ceiling of cascading capiz shell discs. And those sea urchin inspired chairs, perhaps not my cup of tea but I must admit they won’t easily be forgotten and isn’t that what you want from a Bar designer, a talking point, something memorable to distinguish this watering hole from the crowd. 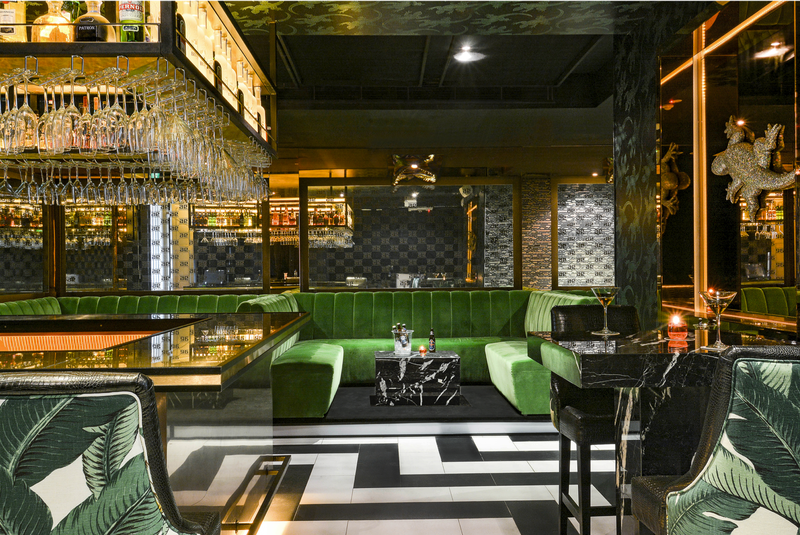 The Turquoise Tiger in New York is resplendent in its art deco references, one of my favourite design styles. So I am unsurprisingly a bit biased towards this nominee. I love how the splashes of turquoise invigorate the design, making it less serious than it would have been otherwise. The carpet is not for me, but I simply love those curvaceous buttoned banquettes and the confident use of black lacquer-one of my all time favourite materials. And then, of course, there is the other Singapore Nominee. How could our small project even hope to compete with The Club, Marina Bay Sands? This is surely the most famous building in Singapore and probably amongst the most iconic in the world nothing that we could ever design could compete with those views. And oh to be working with that budget…. what fun we could have!!! But I keep telling myself – don’t loose hope. 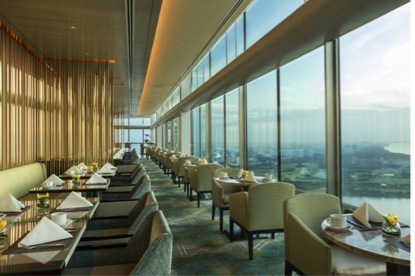 I must never forget the power of the underdog and compared with Marina Bay Sands Design team, we certainly are just that. So I may not be confident, but am ever hopeful. And remember we are also shortlisted for the Best Hotel Suite in the Asian pacific Region so don’t forget to vote for us in that category too! 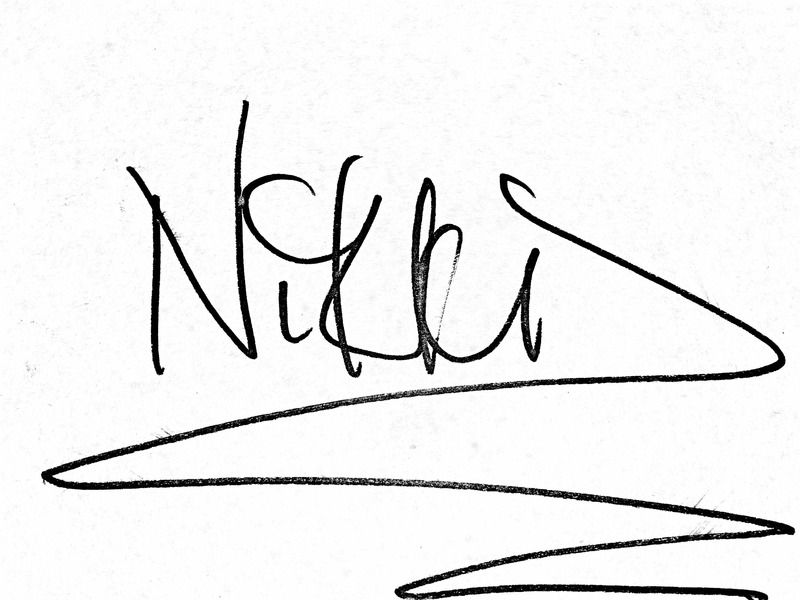 For the last three consecutive years, Nikki's work has been selected for the International Design Review, a compilation of works from the top 100 interior designers from around the globe. She is the only designer in the South east Asian region to have achieved this hounour. A Shady Affair – unleash the artist in you! Do you fancy a latte? What became of the sideboard? ?